SPRINGFIELD – State Senator Julie Morrison (D – Deerfield) was appalled this morning when she read news that the Lake County Republicans are holding a gun raffle this Friday during a political fundraiser. Morrison is calling on all political organizations to suspend raffles of firearms at political events. 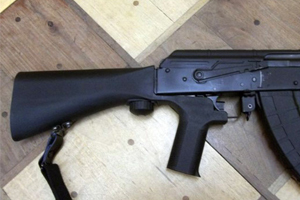 SPRINGFIELD – In the wake of the deadly mass shooting in Las Vegas earlier this week, State Senator Julie Morrison (D – Deerfield) announced today she is filing legislation to ban “trigger modification devices” such as “bump stocks,” which are attachments to semiautomatic rifles that drastically increase the number of bullets fired from a weapon. While Morrison is hopeful action is taken in Washington to regulate bump stocks, history has proven Congress seems unable to pass common-sense gun regulations to deal with increased mass shooting events. 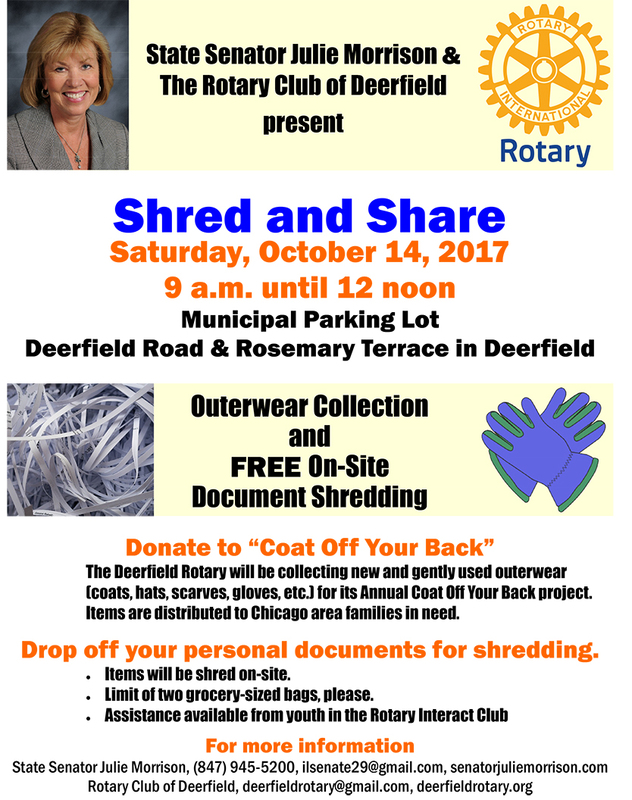 Join State Senator Julie Morrison and The Rotary Club of Deerfield for a Shred and Save Event, offering shredding services for personal documents (limit of two grocery-sized bags) and collecting new and gently used outerwear for the annual Coat Off Your Back project. The event will take place on Saturday, October 14 from 9 a.m. until noon at the Municipal Parking Lot in Deerfield (Deerfield Road & Rosemary Terrace, Deerfield, IL 60015). 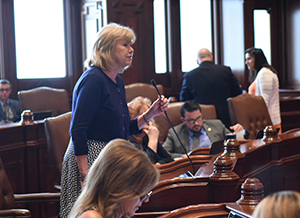 SPRINGFIELD – Firearms would be prohibited on church grounds in Illinois under a plan introduced yesterday by State Senator Julie Morrison (D – Deerfield). 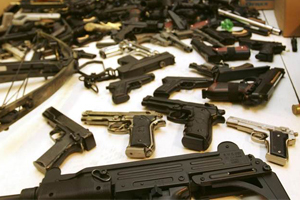 Under Morrison’s plan contained in Senate Bill 2231, concealed firearms would be prohibited on church property, including synagogues, temples, mosques or other places of worship.